People all over the EU are taking to the streets in growing numbers. 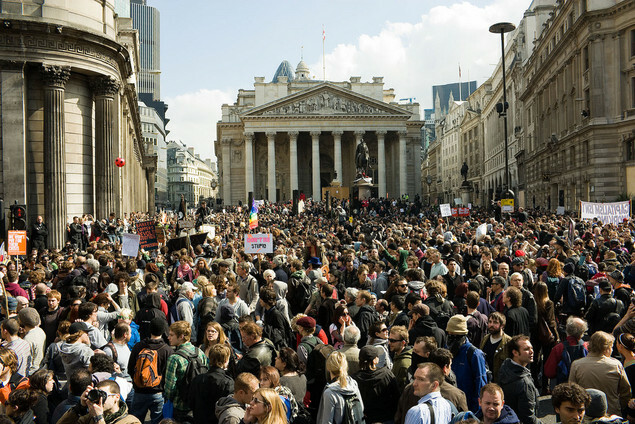 In London an unprecedented show of unity was seen when 40,000 joined in one demonstration. Trade unions, environmental groups, delegations from anti-EU organisations, young people, those raising social issues such as housing and public services took part to make their point to the G20 leaders. Over 120 organisations and many people unconnected to any organisation joined together. In the period leading up to the much vaunted G20 summit massive demonstrations and civil unrest have taken place in Greece, France and Ireland to the background of the euro and single market. 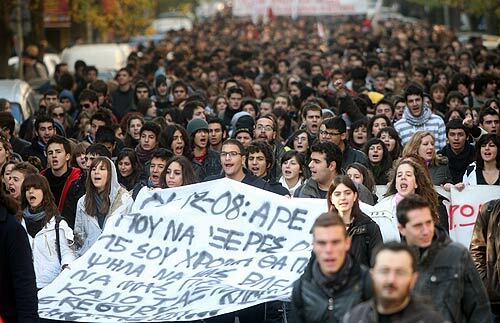 The demonstrations in Greece were portrayed by all the media as just young people protesting at a young person being shot by the police. In fact there were far deeper causes linked to the general world wide economic crisis, an increase in unemployment amongst young people and cuts in public services associated directly with the euro. 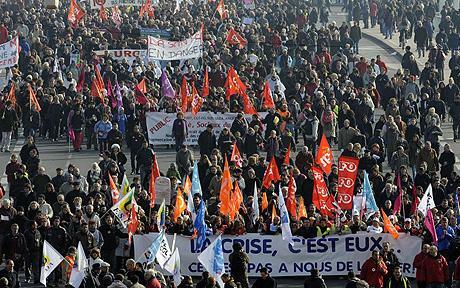 In France likewise national strikes took place with three millions taking to the streets. This was about the growing unemployment, deteriorating economic situation and the draconian Sarkozy government. 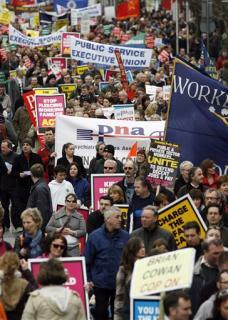 Ireland saw the biggest demonstration of 120,000 trade unionists in February about the economic situation, jobs and social welfare. In Britain considerable unease has grown at the Government’s handling of the fiscal and economic crisis. This was exacerbated by bankers receiving massive pensions and bonuses when their banks had failed and been rescued by taxpayers money. Unemployment is on the increase at the same time as workers from across the EU are given jobs that local workers could and should be offered. The common factor in all three countries and elsewhere in the EU is the ‘Common Market’ now known as the Single European Market. It is clear the political elite in the EU have no answers to the problems and despite this keep on applying the failed policies even harder and call for more of the same. Poll after poll in Britain clearly shows that a vast majority are unhappy with Britain’s EU membership. The electorate is not supporting the Government on this question and many others. The electorate wants to go further than the current Tory leadership. The danger which CAEF has warned about all along is that unless the left wake up and take up the question of extracting Britain from the EU the far right will do so with untold consequences. It should also be a continuous effort and not one dibbed in and dibbed out. The EU will become black reaction itself unless opposed outright. The labour and trade union movement has a vital role to play in this key objective and CAEF with others will not be found wanting.